While I am not adverse to a good old camping trip, my husband prefers the finer things in life, and the concept of sleeping in a tent does not sit well with him. As a compromise, I managed to sell the concept of ‘glamping’ and booked a Yurt in Rynys Campsite, opposite the Go Below basecamp. I wasn’t entirely sure what to expect. It’s been many years since I camped (not including Horror Camp), let alone glamped. When we arrived, I wasn’t pleasantly surprised, I was utterly amazed! We were greeted by Carol who gave us an introduction to the site, and showed us to our Yurt. I loved my Yurt. So much so, I still miss my Yurt. If I could live in a Yurt, I would. If there is ever a zombie apocalypse, I’m going to hole up in a Yurt. Yurts are awesome. Sometimes it’s the little things that make all the difference. The double bed is super comfy, and the log burner will have you toasty warm within minutes. 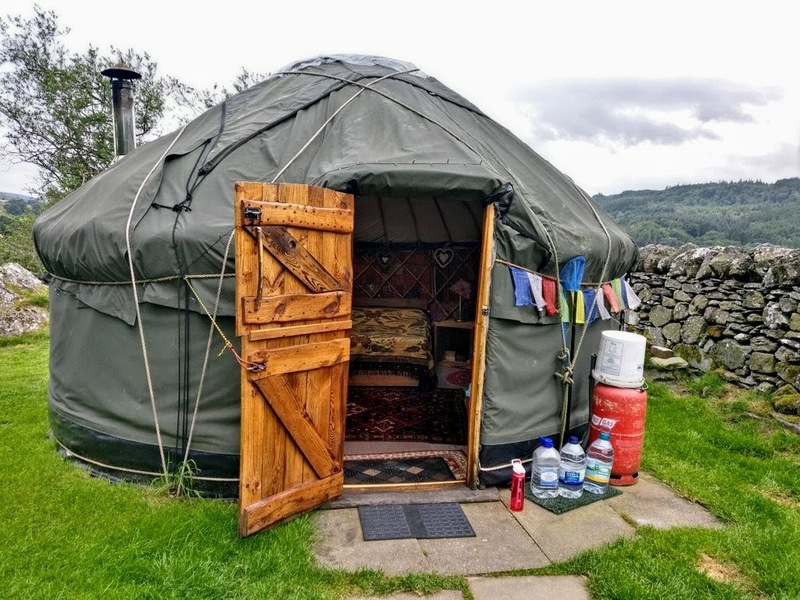 The gas stove is perfect for bacon butties in the morning, and the yurt also has an electricity supply so you don’t need to worry about charging phones etc. All the crockery, cutlery and cooking utensils you could possibly need are supplied, so you only need to worry about food. There’s even a sewing kit available for use! The rest of the campsite was pretty good too. The washrooms were clean, the showers were hot, and a lot of thought has gone into the shared areas which are full of local information you may need. Rynys Campsite became my little pocket of heaven for the weekend, and we would go back in a heartbeat!